From the film "The Man Who Fell To Earth" released in 1975. This poster was sent to theatres to be displayed in the lobby to promote the film's engagement. The poster is folded which is the way they were sent out to theatres back then. 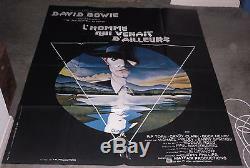 The poster has a small bit of wear but otherwise is in very good condition The poster measures 47x63 inches. 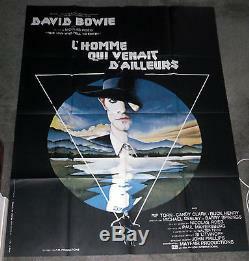 The item "THE MAN WHO FELL TO EARTH original large RARE movie poster DAVID BOWIE 47x63" is in sale since Wednesday, November 23, 2011.